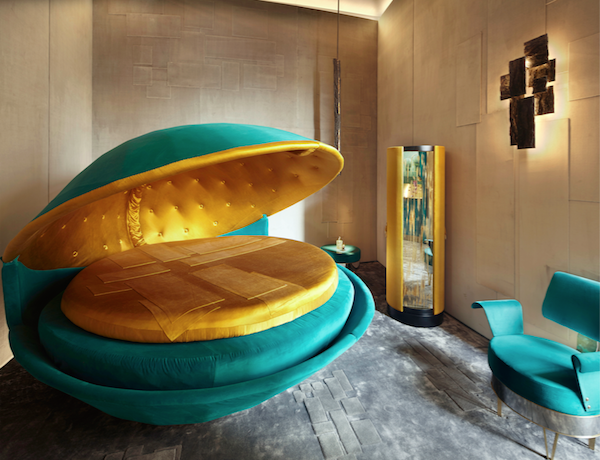 A precious room where the out-of-the-ordinary meets femininity, creating an oneiric and unexpected world. Deconstructed and overlapping geometric shapes are the common thread of this project involving every element, from the walls to the wall lamps, from the wardrobes to the carpet, from the furnishings to the fabrics. Each element reflects the complexity of female imagery.